Alabama vs Auburn Cheerleaders in China! 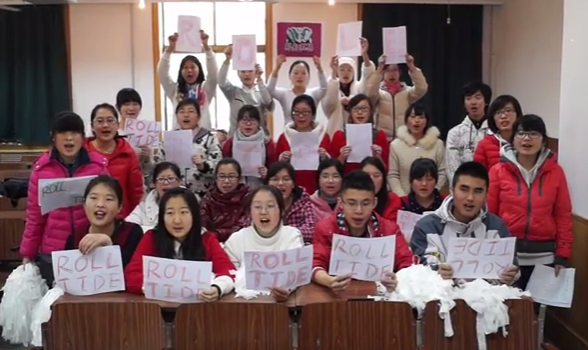 Get a load of the Iron Bowl playing out in one of the most unlikely places in the world, China! These football "fans" are doing the chants for both the schools. The Rammer Jammer version particularly cracked me up. I think you will get a kick out of this if you are an Alabama or Auburn fan.